The Ukrainian group of scientists around Igor Yakymenko at the Institute of Experimental Pathology, Oncology and Radiobiology in Kiev consider it to be proven that mobile phone radiation leads to harmful oxidation processes in cells through the overproduction of free radicals. 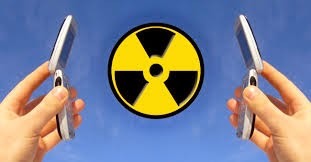 In the editorial “Low intensity radiofrequency radiation: a new oxidant for living cells” in the scientific journal Oxidants and Antioxidants in Medical Science of 29 March 2014 the group reported that of 80 studies, they had assessed, 92.5 % (= 76 studies) confirmed that mechanism of inflicting damage. “Unexpectedly, a strong non-thermal character of biological effects” had been documented, the group of scientists wrote. Low intensity radiofrequency radiation (RFR) emitted by mobile phone end-user devices “could lead to mutagenic effects through expressive oxidative damage of DNA”, because “the substantial overproduction of ROS in living cells under low intensity RFR exposure could cause a broad spectrum of health disorders and diseases, including cancer in humans”. Oxidative stress is considered to be the main cause of exhaustion, headaches, inflammatory diseases, all the way to heart attacks. The results of the scientists from Kiev explain the acutely critical nature of the hype around mobile phones, smartphones and Wi-Fi. According to latest statistics, children and young people use mobile phone end-user devices near their bodies on average for more than 8 hours a day. Therefore, they are permanently exposed to potential damage. These findings once again strip the legitimacy of German and international legal limits, based on the guidelines by ICNIRP. The legal limits are based on the denial of such non-thermal effects.